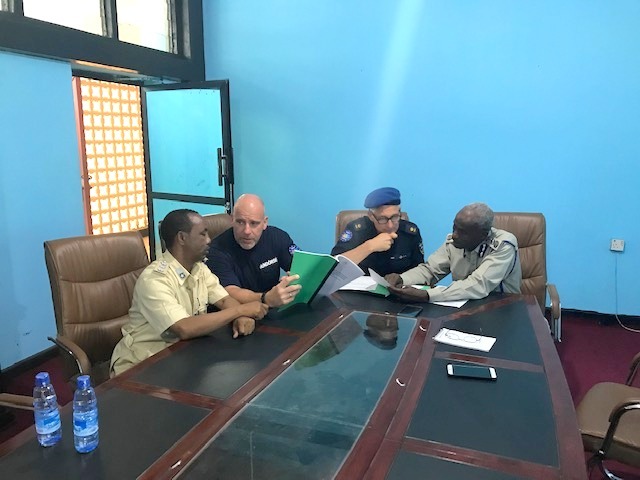 EUCAP Somalia Police advisers held working sessions with their Somali counterparts at the Mogadishu Police HQ on November 28 and 29. 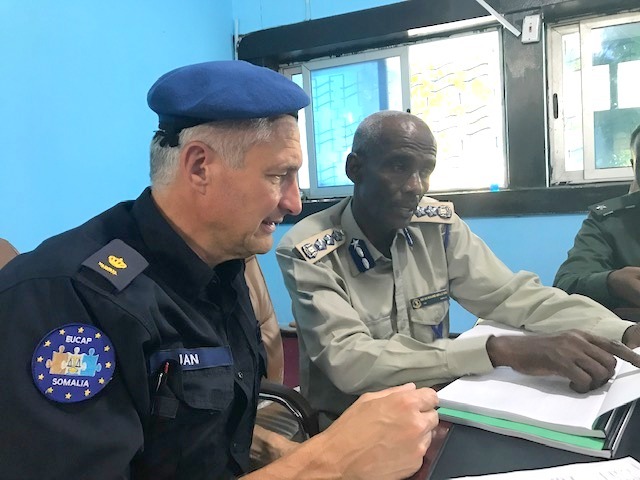 Senior Police Advisers Jan Swaan and Bence Balassa exchanged information on planning for future activities with the Somali INTERPOL unit’s Commander, General Mohammed Abdullah Dore and his Deputy Colonel Muse Abdulkadir Hasan(29/11). Discussions included EUCAP Somalia’s mentoring engagement on police leadership/management and police station management training, to be developed involving the Police Professional Development Board (PPDB). 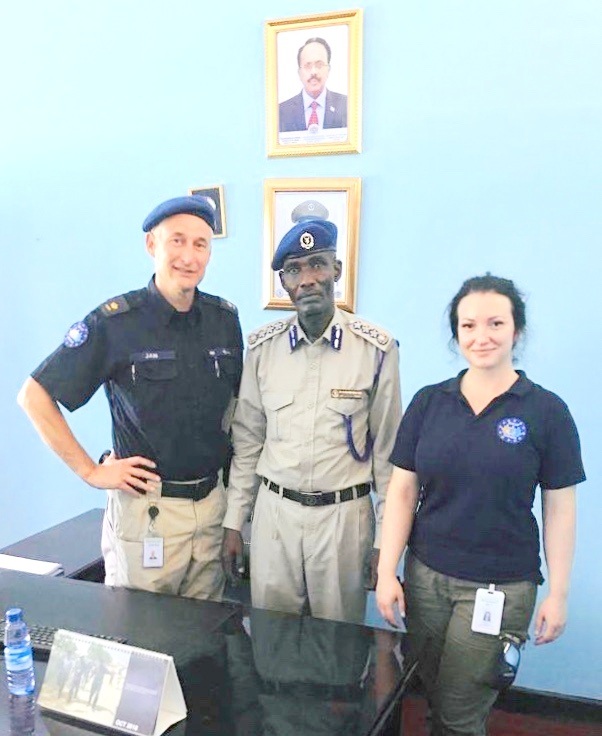 Senior Police Advisers Jan Swaan and Police Adviser Daniela Miteva participated in meeting with high ranking police officials, chaired by the Commissioner of the Somali Police Force (SPF), General Bashir (29/11). Conversations touched upon the development of training curricula, including specialised ones. On the occasion, Gen. Bashir expressed his vision about the future responsiveness of the Somali INTERPOL Office and also expressed his appreciation to EUCAP Somalia for the support provided.